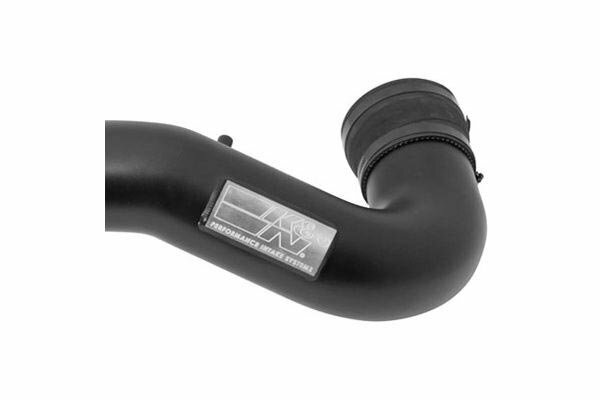 K&N 71-2556 - K&N 71 Series Blackhawk Air Intake System - FREE SHIPPING! This was super easy to install, too soon to see if there is any MPG increase but definitely love the new sound! Would highly recommend! Auto anything is great! I saved 20% off & Fast delivery time. I love the K&N 71 Blackhawk series looks very cool! sounds AWESOME!,throttle response is a lot better to. It has the murdered out look I was looking for something different.I pre assembled it the night before (have kids) the install was very easy to do the next day. A little less than 2 hours start to finish. I will use Auto Anything in the future. I received an instant increase in power. 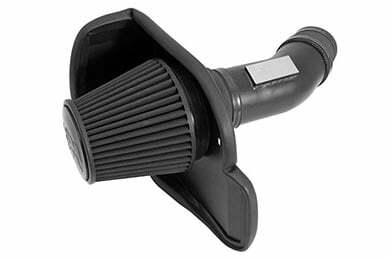 Prior to installing my new K & N Blackhawk intake, my 2004 Ford F-150 4x4 seemed to be "Held back" whenever I pressed the accelerator. After installing the K & N Blackhawk that feeling was GONE...on stand power increase!!! Installation was simple and took less than an hour !!!! 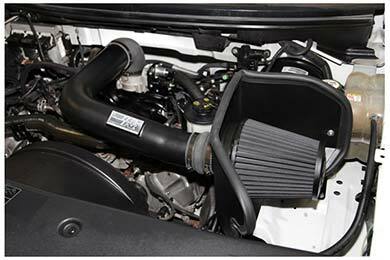 Great cold air intake, easy to install in about 30 minutes, looks cool and pulls a lot more air than restrictive stock intake. Would recommend to anyone. I reviewed several comments on the Blackhawk Air Intake System for Ford F-150. I decided to give it a try. It was very easy to install by following the directions did it myself on carport. Did increase the power and also gave the 5.4 engine a very good sound. I'm now in the process of installing the Flowmaster 50 muffler with duel exhaust. And very pleased with the service of AutoAnything highly recommended. Again thank you to the employees at AutoAnything. Noticeable gains, more horsepower, more torque, better throttle response and improved exhaust tone. (SIDO Super 40 Series Catback). Very easy to install, takes 30 minutes and you don't even need directions. Very happy with this product compared to others I've tried. Reference # 756-088-230 © 2000-2019 AutoAnything, Inc.